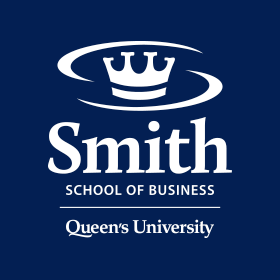 The Dare to Dream internship through Queen's Centre for Business Venturing (QCBV) at Smith School of Business is designed to encourage and enable entrepreneurs in launching their new ventures. The program is specifically focused on providing critical resources to help Smith graduates turn their new venture business plans into reality. The program provides up to a total of $15,000 over a three month period. Many students create new ventures while in their program, yet upon graduation, they are faced with a tough dilemma: take a full-time job in order to pay for rent and/or student loans and sacrifice the opportunity to bring their business to fruition versus pursuing their entrepreneurial dreams while bootstrapping to make ends meet. Dare to Dream was created to make it possible for graduates to pursue the latter, by not only covering expenses, but also providing other critical resources such as office space and access to the invaluable Smith and Queen's network of contacts. Please submit a detailed powerpoint presentation pitch deck along with an executive summary (no more than 2 pages). Key aspects to cover include, but are not limited to: vision and value proposition, the problem/opportunity, target market (validated), the solution, revenue model, marketing and sales strategy, team (including advisors/Board of Directors), financials, competition, other investments (including where from), and the use of funds. Queen's Centre for Business Venturing at Smith School of Business views this program as an integral part of our commitment to 'improving the odds of success for new ventures' as it closes a big gap - the difficult choice between resources to live and resources to work when launching a new venture. "…the Dare to Dream Program allowed me to do exactly what it said it was going to do. It allowed me to dream. It allowed me to not just have to look inside the box of having to get a job because I had to pay for my education. It was to really go out there and test an idea and see if I could build a business." As an entrepreneur, investor, funding agency, or a new venture subject area expert, you can get involved with the QCBV community in helping young entrepreneurs succeed in bringing their ideas to reality. Guide young entrepreneurs in their efforts to start their own new ventures! Email john-paul.shearer@queensu.ca about mentoring our Dare to Dream interns or aspiring entrepreneurs. SharpScholar’s data-driven educational approach is a result of intensive research studies with educational innovators at top Canadian universities including University of Toronto and Queen’s University. The company is founded by three distinguished students of Queens University and University of Toronto. In less than six months, the company has acquired 30+ distinguished professors at 6+ schools with 9,000+ students. Furthermore, the company’s educational software tool has been recognized and praised by four different research studies. Currently small-mid sized businesses (SME’s) spend $1,300 more per hire than large businesses. This is because SME’s do not have access to the same recruitment tools that large businesses do, specifically Applicant Tracking Systems (ATS). TalentWiz.com is a web application focused on providing small-mid sized businesses with a recruitment solution that meets their needs, reduces their recruitment costs, and improves their quality of hire. TalentWiz.com will provide SME’s an Applicant Tracking System that is affordable to business of all sizes, and provides them with the tools to significantly improve their recruitment process. SimplyFeed.me aims to revolutionize how we consume, and innovate how we live. By providing residents of Kingston with an alternative to grocery shopping, planning, and consumption, we hope to reduce food waste, save time and money. Pre-portioned meal ingredient delivery is a new wave of the future. Facilitating the cooking experience at home SimplyFeed.me will infuse the fun back into cooking. In order to attract a higher percentage of customers, our recipes will provide variance to accommodate different religions, cultures, nationalities, and lifestyle choices. The initial supply will include 12 recipes that will offer gluten free, salmon, chicken, and shrimp options. The consumer will have the option to use the “a la carte” recipe selection, or subscribe to a weekly “subscription” service that will be a recurring billing cycle that will deliver different recipes every week. The recipes will be catered to each individual based upon their preferences and physical traits. The primary goal of the company is to provide the consumer with the worry-free convenience of meal ingredient delivery to induce inspiration in the kitchen. This can be used as a fun experience to share with friends and family at special occasions or a regular occurrence for people who have limited time to shop for groceries but still value a homemade meal. We are offering customers a service that makes grocery shopping, meal selection, and cooking easier. Paddling and rowing athletes have never been able to effectively improve their balance off the water. For many beginners just starting out this means never advancing past the learning phase and for the most elite level athletes this means missing out on the podium. KRG Racing has built a seated stability device that enables athletes of all levels to develop their balance and core strength off the water. It is called the ProBalance and after testing the device with Canadian Olympic athletes and at world-class health clubs it was discovered that the system’s potential to raise athletic performance extends beyond just paddle-sport athletes. Gym-goers can benefit from using the ProBalance as a challenging and effective tool for developing core strength. Through balancing in the seated position, users can recruit and develop a higher proportion of muscle fibers when performing abdominal exercises on the ProBalance. Journal Prep was founded with the vision of creating an online hub of services and information that could help researchers with all aspects of preparing their data for publication in English-language academic journals. Co-founders and Queen’s University graduates, Shawn Maloney (BSc ‘05) and Kyle Maloney (BComm ‘14), launched the company in 2010 and in less than four years have worked with clients in over 60 countries. In addition to serving individual researchers, Journal Prep provides services to academic publishers, having secured two copy editing contracts with leading medical publishers in 2012. Corporate services are also a focus, with particular emphasis on medical writing projects with pharmaceutical companies and hospitals. A mobile-based software solution making the process of managing restaurant waitlists easier and more efficient. The company’s vision is to leverage the latest technology to facilitate interaction between restaurants and their customers in order to reduce staff workload, enhance customer service and capture customer demographic and behavioural insights.